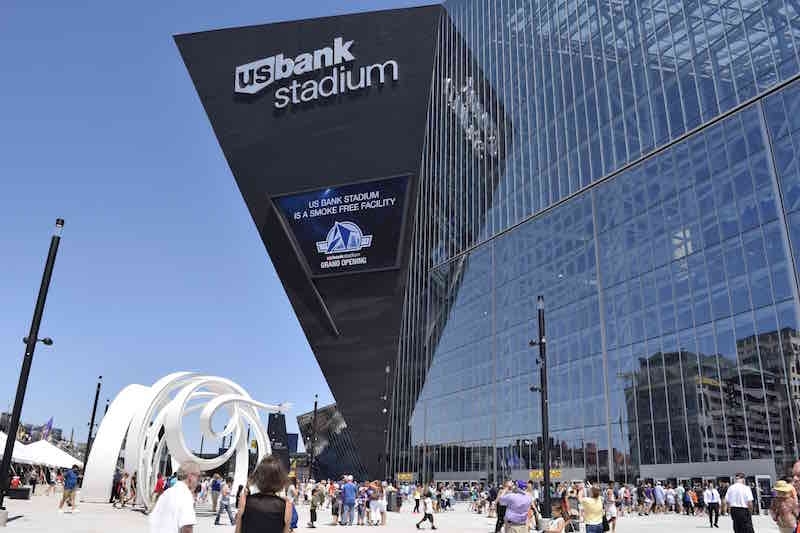 At the first Monday night game of the 2017 season for the Minnesota Vikings, 66,606 fans entered the U.S. Bank Stadium through over 1,500 doors and openings from ASSA ABLOY. The stadium was completed last year, and a truncated construction time frame during 2015-16 provided the impetus for ASSA ABLOY and its Group brands to provide doors and hardware for the stadium via pre-assembled openings. The company says that the ready-to-install openings reduced worry about on-site management of multiple components and saved time through a streamlined installation process. The openings included products from ASSA ABLOY architectural door accessories and Group brands, including Curries hollow metal doors and frames, Sargent locks, exit devices and door closers, Medeco high security cylinders and keys and Securitron access control components. The openings featured Studio Collected levers from Sargent and matching hardware, including McKinney hinges and Rockwood door pulls and stops. “Having durable, commercial-grade hardware and doors available with stylish and specific options allow building designers to easily incorporate hardware into the overall aesthetics of the building,” said Tom Mayer, director of sales, ASSA ABLOY Door Security Solutions—North Central.